CONSULTATIONS The President of Romania, Klaus Iohannis, had talks on Saturday with his Egyptian counterpart, Abdel Fattah El-Sisi, on the sidelines of the EU – Leage of Arab States held in Sharm-El-Sheikh, Egypt. According to a news release issued by the Presidency, Klaus Iohannis said the relationship between the 2 countries is very good and solid, and Egypt is one of Romania’s traditional friends in the region and a key factor in ensuring regional stability and security. The 2 heads of state expressed their determination and interest in strengthening bilateral relations, with a focus on economic aspects. In this context, President Iohannis mentioned the increase in bilateral trade, which exceeded 918 million US dollars in 2018, making Egypt Romania’s main trade partner in the region. PES The Romanian PM Viorica Dăncilă had a meeting on Saturday with the PM of Spain, Pedro Sanchez, on the sidelines of the congress of the Party of European Socialists in Madrid. The 2 officials appreciated the decision to organise a Romania-Spain business and investment forum and the opening of a Romanian economic mission in Madrid, on March 13th. They also talked about the Romanian community in Spain, as well as means to diversify economic relations. PM Dancila reaffirmed interest in attracting Spanish investments in Romania, in infrastructure as well as in the automotive field, agri-food, pharmaceuticals, and IT. PROTESTS Magistrates in Bucharest and several other Romanian cities decided to suspend work for a week, as of Monday, after on Friday they protested in front of court buildings against new changes in the justice laws. Prosecutors and judges say that Government Emergency Decree 7, passed by the Government early this week, may lead to institutional deadlock and affect their independence. One of the provisions that angered the magistrates says that judges having previously worked as prosecutors may be appointed as chief prosecutors, and waives the seniority criterion.  The emergency decree has been criticised both in Brussels, by the European Commission, and in Romania, by magistrate associations, the prosecutors division in the Higher Council of Magistracy and by the right-of-centre Opposition. MEDAL The Aurelia Dacorum Romanian gendarme unit in Afghanistan was awarded the Non-Article 5 medal in recognition of its six-month participation in the Resolute Support Mission in that country. According to a Facebook post of the Romanian Gendarme Corps, the medal was granted by brigadier general Markus Kurczyk (Germany) and the director of Police Institutional Advisory Team, colonel Warren Brainard (US). HUNGARIAN The incumbent leader of the Democratic Union of Ethnic Hungarians in Romania, Hunor Kelemen, was re-elected party president at the congress held in Cluj-Napoca, north-western Romania. The only candidate for this position, Hunor Kelemen won a 3rd term in office as president of the main political party representing the 1.5-million strong Hungarian community in Romania. The party supports the leftist ruling coalition in Romania, and has been represented in Parliament without interruptions since 1990. MOLDOVA In the Republic of Moldova, parliamentary elections are held on Sunday. The recently modified election legislation scrapped the so-called reflection day, so candidates may campaign on the very day of the election as well. For the first time, a mixed voting system will be used, with 50 MPs elected on party lists and another 51 in a single-choice system, in one voting round. Polls indicate President Igor Dodon’s pro-Russian Socialist party is ahead, with nearly 40% of voter intentions, followed by a pro-European right-of-centre election cartel called ACUM, with 25%, and the pro-Western Democratic Party with 15%. A referendum is also held at the same time, concerning the reduction of the number of MPs from 101 to 61 and the possibility to have them removed from office by citizens. HANDBALL The Romanian women’s handball team CSM Bucharest was defeated on Saturday by the Hungarian side Gyor, 27-25, in a home game in Group 2 of the Champions League. In the first leg, title holder Gyor had won 36-27. With this victory, Gyor secured the top place in the group and remains undefeated in the Champions League in 19 games. CSM Bucharest is to play next on March 2, in Ljubljana, against RK Krim Mercator.